This is pretty huge for the community, the school of music, and the local band programs. For those that aren't aware, I marched with two different drum and bugle corps when I was younger (for those that don't know, drum corps is like the NFL of the marching band world). 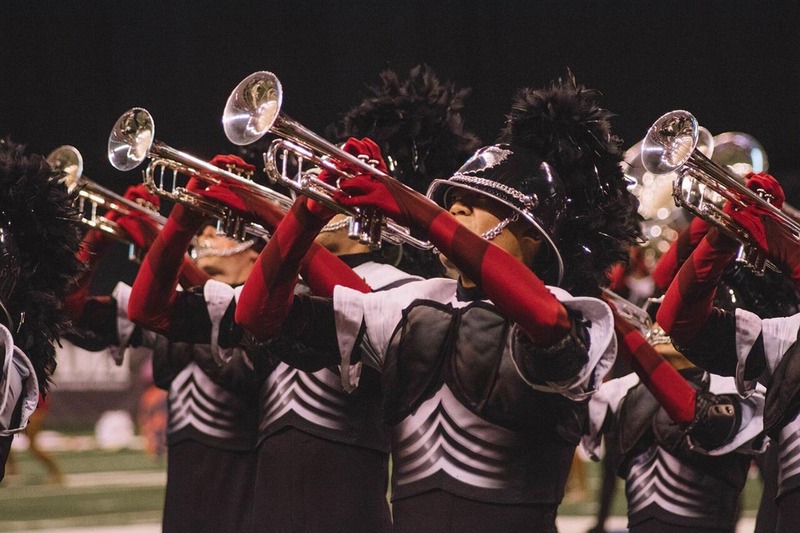 Phantom Regiment (from Rockford, IL) has won the world championships twice (1996 and 2008) and have competed in the World Championship Finals (top 12 corps) every year for the last 44 years. This is a very important step in the right direction. Getting future students on campus is very important. WIU hosted the "Science Olympiad" competition for the central region a month or two ago. I got my first look at two potential university choices when I qualified for the Regional Illinois Science Academy competion at NIU and then the state competition at UofI! That was in the Spring of 1969. The title of my project, "Environmental selection of Drosophila Melanogaster!" First, congrats on you science excellence. Second, I think the summer theater returning is just 1 show and it is local kids, not the Summer Music Theater of yore. But then again, at least a step in the right direction. Any chance that WIU will broadcast that one rehearsal session that will be open to the public? All their rehearsals are open to the public. You could walk right up, sit down at Hanson field and watch one section of the corps practicing right now if you wanted to. I don't know about broadcasting...there's a LOT of issues with music licensing rights and stuff when it comes to drum corps...they may not legally be able to do that. Is there a practice schedule somewhere? I tried to find one but it would be nice to know when they are going to practicing. On this page, you can scroll down to the calendar and see what they are doing each day. Looks like they are pretty darn serious. Physical Training in the morning and yoga in the evenening after all of music stuff. And yes, top-level drum corps practice a ton compared to what most people think with regards to a HS or college marching band. It's a whole different level. When I was marching, our training camp schedules were pretty much the same as what PR is doing. Visual rehearsal on the field (working on drill sets, movement, etc.) in the morning, brass sectionals (working on music by itself) in the afternoon, full corps rehearsal (putting it all together, music+movement) in the evening. Outside of lunch and dinner breaks, you're rehearsing pretty much from 9 AM to 10 PM...every day...for weeks. Show days are a lot less demanding though...you generally go from 8 or 9 AM to around 3 PM, then you break to pack up and get ready to head to the show. I know that our cook truck would put together meals based on an estimate of 4-5k calories per day, and still, anyone who had any fat on them, it'd be gone by mid-summer.